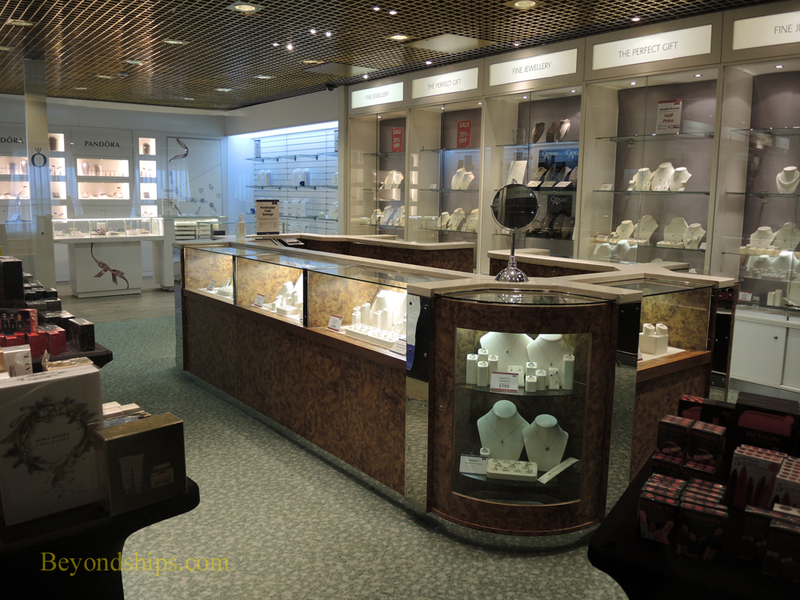 Oriana's Knightsbridge shops offer everything from high end jewelry and fragrances to refrigerator magnets. 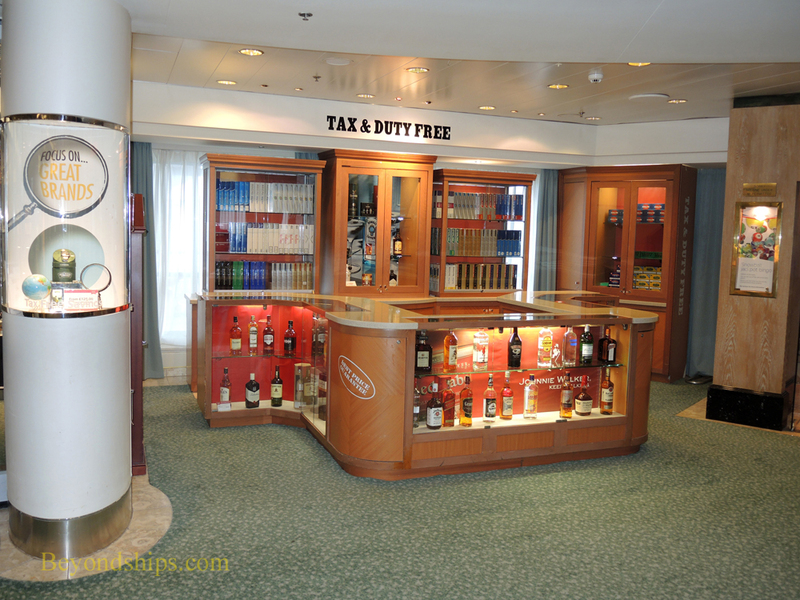 Guests can also purchase duty-free liquor and tobacco aboard. sizable collection of books as well as board games. 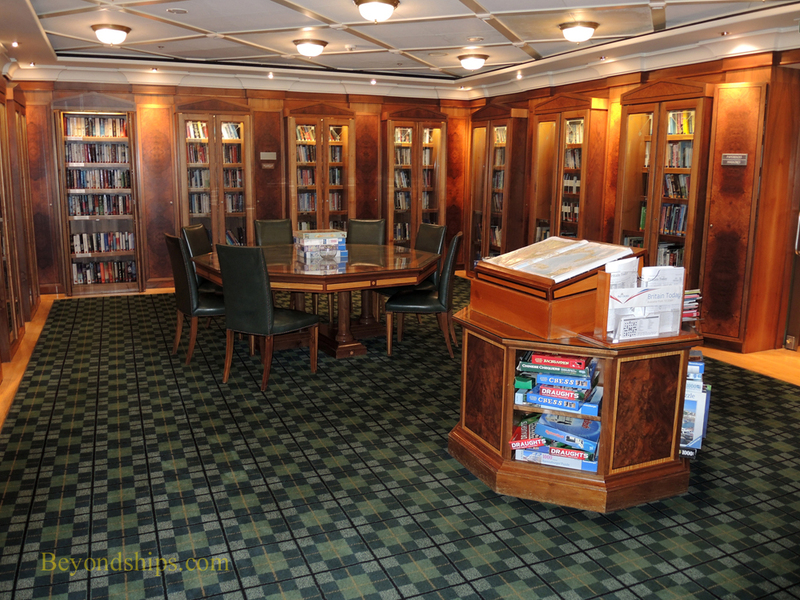 Wood furniture also enhances Oriana's Cyber Study (below), the ship's internet center. 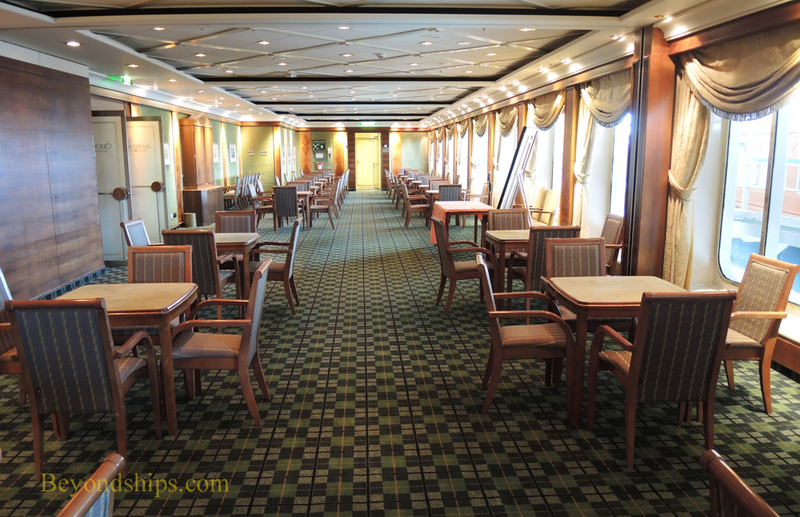 The ship also has Wi-Fi. 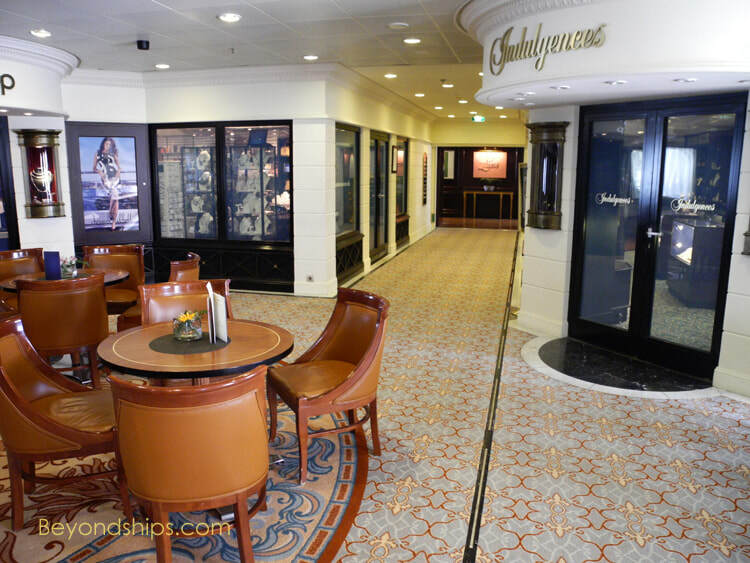 Crichton's (above right) is named after former P&O director Sir Andrew Crichton. 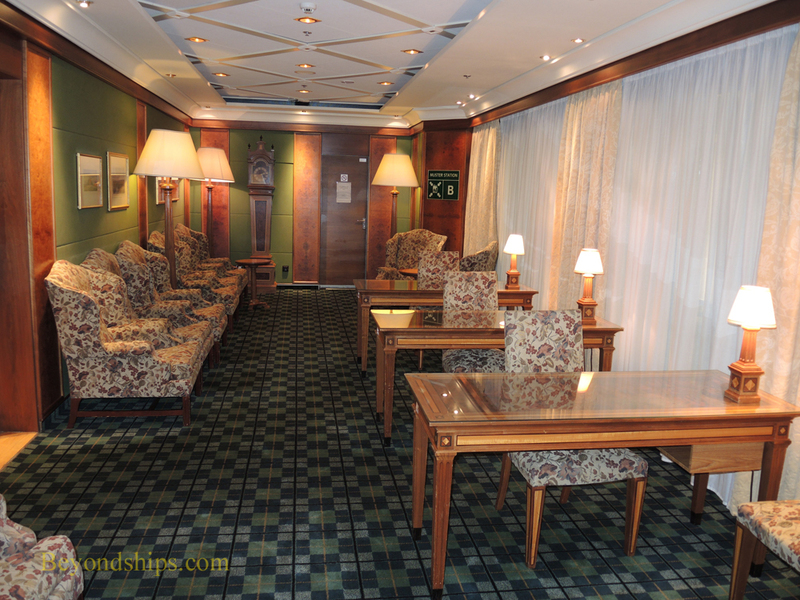 The room is used for card games and tournaments as well as for board games. It is also the scene for evening quizes. 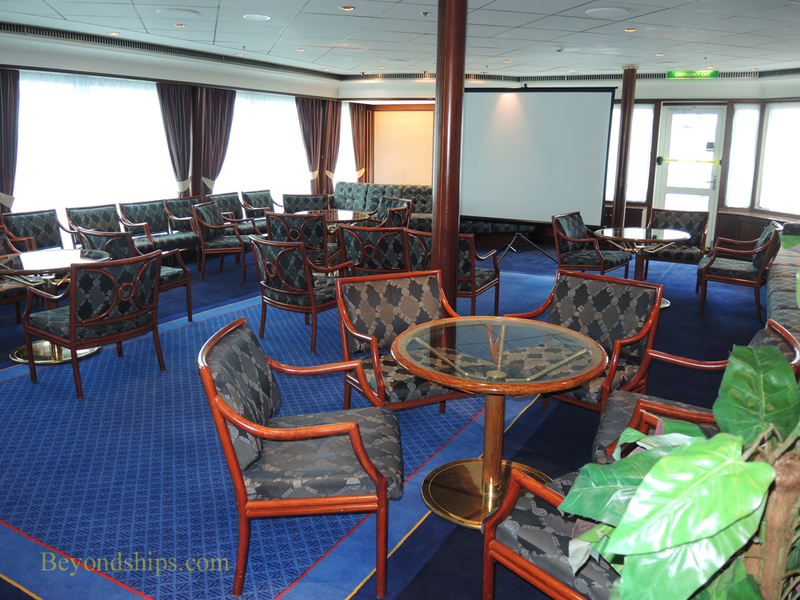 Above right: The Medina Room is located next to the Crow's Nest bar and is a multi-purpose room where guests can have meetings. 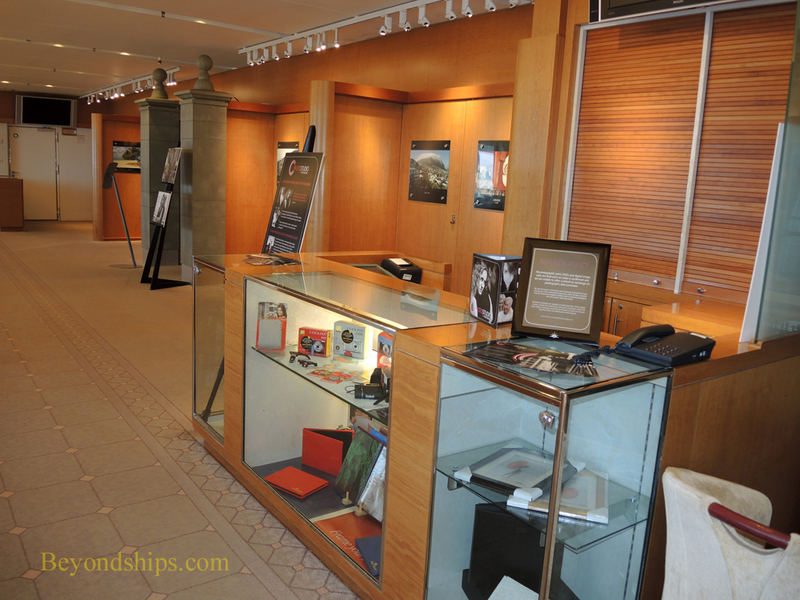 Guests may purchase the work of the onboard photographers in The Photo Gallery as well as camera and photographic supplies. It also will develop photos and download photos from guests' cameras.